Today's leading cable TV providers force customers to rent set-top boxes to access programming, but FCC Chairman Tom Wheeler says it's time to end the unfair practice and he's proposing a rule to let consumers use any cable box they choose. If you're of a certain age (as I am) you might remember when you couldn't buy a telephone — you had to rent one from AT&T. People objected to that monopolistic practice, but the phone company claimed "foreign" devices would endanger its network and wreck its business. Of course, that was all nonsense, and when the U.S. courts eventually ended the practice the once stodgy telecommunications market blossomed to the great benefit of consumers, and ultimately to the industry. Today, a similar battle is underway, only this time it's over the set-top cable box, the device that the majority of pay TV subscribers are forced to rent from their providers at an average estimated cost of more than $200 a year. FCC Chairman Tom Wheeler wants to end the set-top box monopoly and let subscribers use whatever devices they wish to access paid programming. Pay TV providers such as Comcast and AT&T, which now owns DirecTV, are unsurprisingly outraged, and they promise to fight to protect billions of dollars in cable-box rental revenue. It's unclear whether or not Wheeler's idea will receive FCC approval — a preliminary vote is set for next week, and if it passes the commission will propose a rule to open the set-top box market — but forcing consumers to rent devices to enjoy content they already pay for seems, well ... crazy. ISPs can't force customers to rent specific routers so they can beam Wi-Fi around their houses, so why are pay TV providers any different? To be clear, Wheeler's proposal won't make it easier for consumers to get free content. Customers who want Comcast programming, for example, will still have to pay for it, regardless of the set-top box they use to access the content. AT&T's Vice President of Federal Regulatory Stacy Fuller argued in a recent blog post that consumers can already watch DirecTV programming on many devices, including tablets, Roku boxes and Xbox gaming consoles. "As the market for video has become even more competitive, consumers have more choices than ever to watch what they want, when they want it and on the device of their choosing anywhere they happen to be," Fuller wrote. 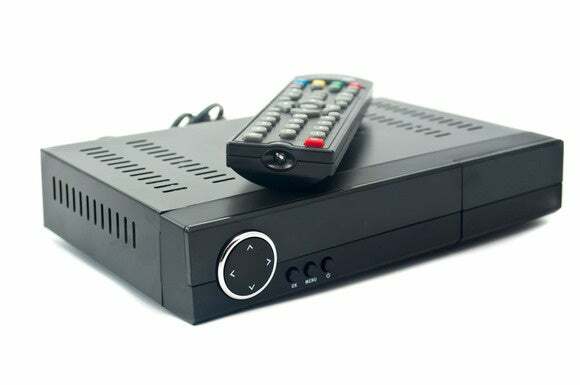 That's true, but consumers must still connect rented set-top boxes to their TVs ... with one exception: Consumers can forgo the rented boxes and use third-party devices if they are compatible with "CableCards," or smartcards that can descramble paid channels. However, relative few devices are compatible with CableCards, and many consumers don't know that they even exist. During the past decades, competition in the consumer technology market encouraged innovation. By removing the archaic restrictions on set-top boxes, consumers will almost surely see new generations of innovative devices and services that will provide valuable features and help people save money.